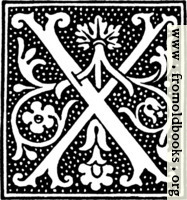 Wood cut of a decorated initial letter “X” (e.g. 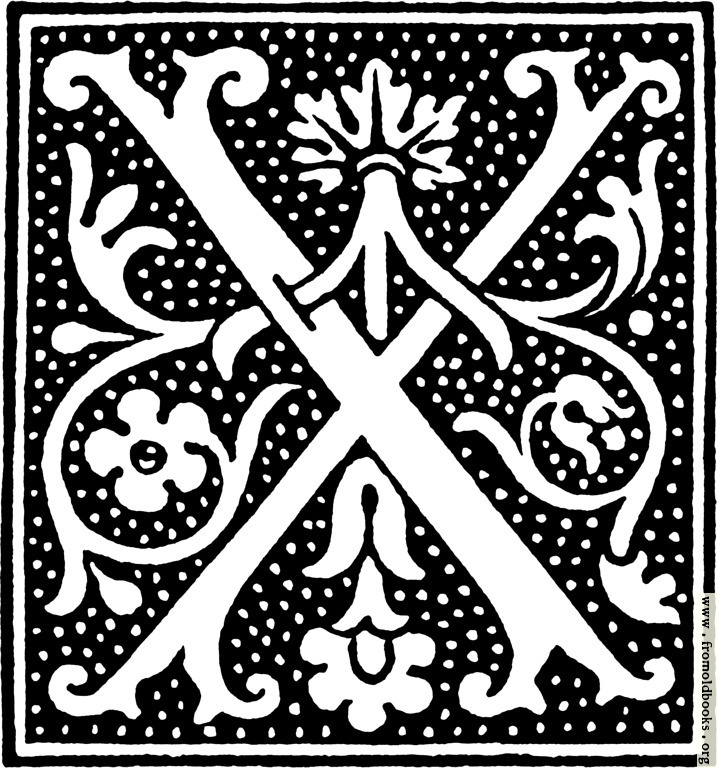 for a drop cap or ornamental capital letter), from the beginning of the 16th Century. 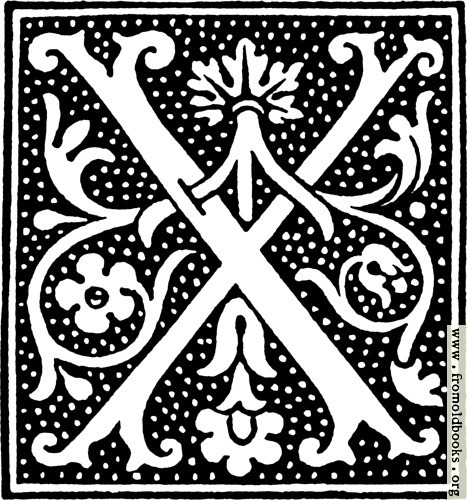 There is a calligraphic capital “X” with interwoven vines and flowers (floriated) on a ground of dots.